Entering the world of business and entrepreneurship is quite difficult and challenging. It definitely isn’t for the faint-hearted, but you’re surely in for a treat if you have the passion, dedication, and goal-driven spirit. You’re going to have to go through a long stage of self-help, studying and knowledge acquiring, and seeking help from experience tycoons. For starters, here are three popular books to get the ball rolling! This is a very popular book about military strategy used in the olden times that could very much be applied in life today. Many people, whether prominent or not, have been inspired by the Art of War and even applied the ideas in different situations such as office politics or corporate strategy. Have you ever wondered why it’s always been so difficult to achieve some of the goals we’ve always wanted to reach? well , maybe because bad habits are hard to break and discipline is actually very hard to acquire. However, it could also be that we don’t do the things that some people do. Learn the habits of success and apply it in your life! Make a drastic change in your life and see the difference it makes! Know what it takes to be a successful CEO! Although we’ve been taught the more common qualities like having valuable experience and good education, there are still many qualities from the perspective of a business tycoon that we don’t know about. Reading this book will definitely get you ahead and will lead you to great results! The real estate industry is getting in demand every year. From residential properties to commercial and office spaces, millions are spent while more buildings rise up to be homes of many families and offices of new businesses. These days, companies become very competitive when it comes to the physical aspect of their office. It’s a representation of the people, their values, and the company. So it only makes sense to design it in a way that helps in productivity and shows professionalism. 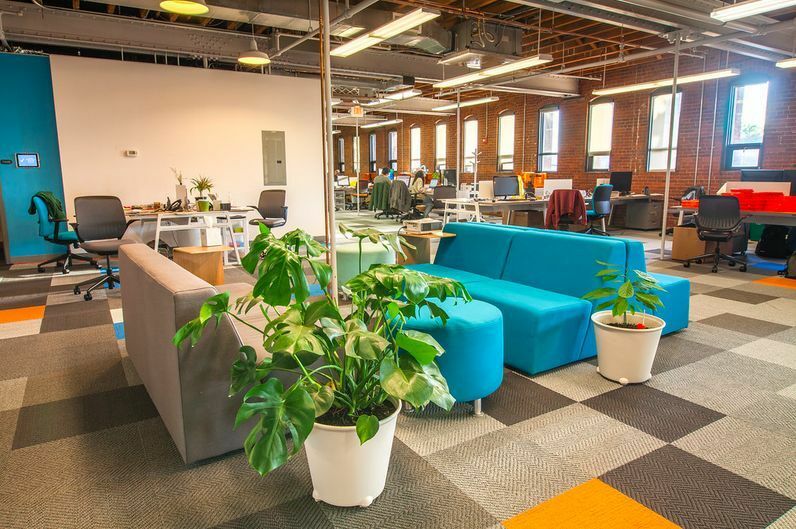 You can choose between a traditional , creative, co-working space, executive suites, or a flex space. By the word “traditional” alone, one could already tell that this is the most conventional office arrangement. It has all of the customary features that one might expect to find. This type of office space is usually used for a reception area, private offices, or conference rooms. Many employees in different offices usually work in a cubicle style. Managers and executives are mostly in a more private and enclosed office. This type of arrangement is usually found in law or accounting firms and the like. As people in the creative fields multiply, many companies are adapting to having a more creative office space for their employees. This is a growing trend in work environments to encourage collaboration and spark creativity. This type of office is designed to have open floor plans with minimal private offices and no cubicles. The aim of this design is to have an open and transparent relationship with each other, as well as provide collaborative spaces where people can work together more productively. It includes almost everything that employees need, like conference rooms, workstation, and even amenities. Like what investors do to class C office spaces, many investment groups renovate them and transform them into creative offices. While this is a rising trend, creative office style is not only appealing to tech and advertising companies anymore. It is also gaining popularity amongst large corporate companies such as real estate groups. This type of office concept offers rentable office space or desks for small start up companies, entrepreneurs, and self-employed/freelancers. This is also a getting some attention as it takes form of the new age officing experience. The co-working space is mostly ideal to a person or entity that is unwilling or unable to pay for market rates. It also appeals to those who cannot commit to a lease agreement, or those who are just looking for a space to rent on shorter terms. Just like the creative office space, it promotes collaboration and thorough business discussions. Typically, the costs are inclusive of utilities, maintenance, expenses, insurance, etc. Co-working spaces are a relaxed office environment that is conducive for companies looking for flexible terms and modern working environments. Flex space, short for flexible space is for business owners who prefer to have a huge space for industrial or any other purposes which requires to occupy a lot of space. The flex type is also convenient for tenants who would need to have both front and back end of their business under one roof, an example would be their warehouse and distribution to sales, accounting and management. The flex type of office space entails less money while enticing to interior designers with the wide space they can play with to make your desired working space come to life. With real estate gaining its popularity and demand, start-up companies and big companies alike are stepping up their game not only to win the competition but be known. This is why offices these days are getting creative and this makes both employers and employees satisfied. Having an office with unique, inspiring and motivating interior help boost you and your employees productivity while indulging their workspace, it also helps catch people’s interest making them want to either explore, apply or want your partnership with them.